‘’You learn to smile even in your liver?’’ – Ketut from Bali. A quote that I liked very much. 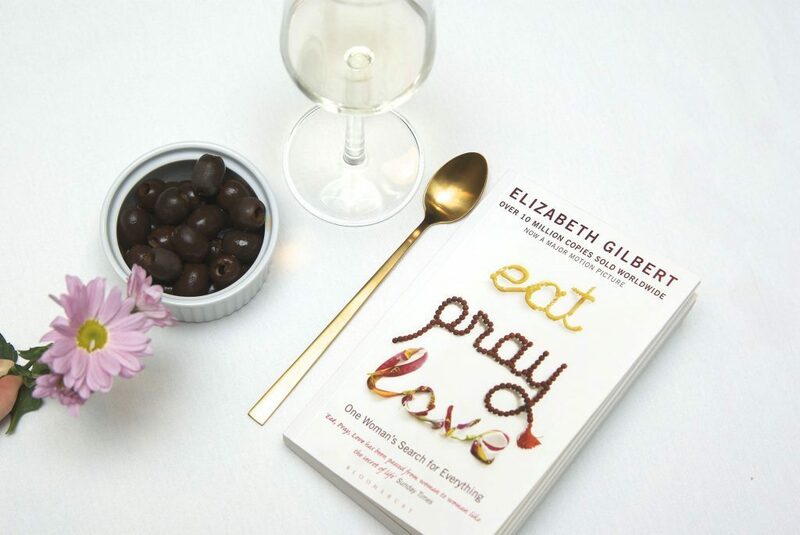 The quote is from the 2010 book “Eat, Pray, Love” by the famous writer Elizabeth Gilbert. More than 10 million copies has been sold worldwide and it’s described as being ‘’One woman’s search for everything’’. It’s been a long time since I read a book and I really felt the need to read something new and lose myself into the pages of a good book. 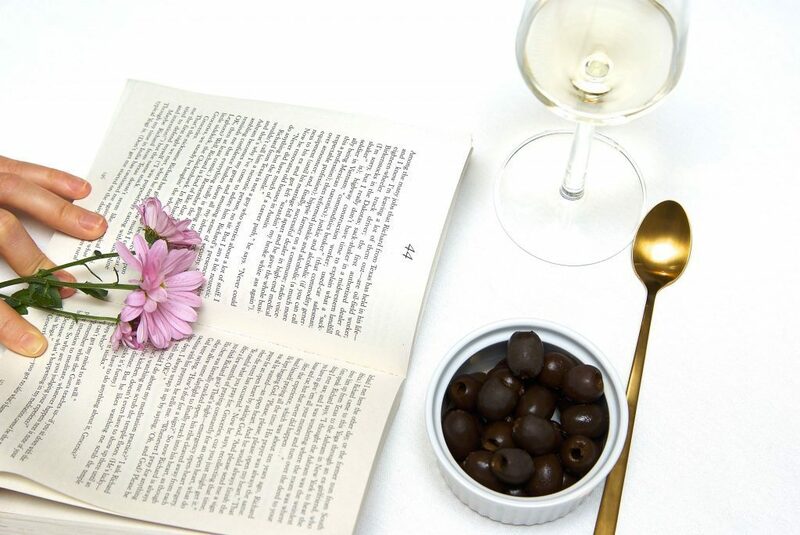 I looked into a few book clubs to see which ones are popular at the moment, and all I could see is : ‘’ how to be a girlboss’’, how to run the world, how to get the best out of your workplace, everything was “how to do something”. It feels like there is so much pressure on women to prove ourselves these days. So in the end, I pick this book because of it’s story and the message that is puts out there. With everyone right now reading books or their kindle or listening to them as audiobooks, I still think there is something about the smell of the book, the print of the letters on the page of a physical book that just fills me with joy. So, I took some time off for myself (a ME-day) and I managed to read the book and see the movie, so that I could compare the two, over the course of a weekend. The book, is really catchy and it’s an easy read that is hard to put down. At 32 Liz (Elizabeth Gilbert) had everything that’s supposed to make you happy. A husband, lovely home and a successful career. She isn’t happy though and goes through a hard divorce pushing her into depression, only to end up in another failed relationship. She decides to take a year off and go visit Italy, India and Bali to find herself, peace and God. The beginning of the book describing her marriage with her at that time husband and dealing with the resulting depression, something that many people can relate to and then kicks off the first part of the title in Rome (Eat) – definitely my favourite. This part is all about her being away, but also making new friends, trying the best foods in Italy, visiting and exploring. She mentions that she has gained weight while being there and I blame her because the last two days, all I could think about was pasta and pizza and taking a 3 months vacation in Rome. Now part of the story set in India (Pray) lost me a bit a few times because I like to read dialogues and stories but my mind drifted into considerating meditating. I have always been curious to try it but never been able to stay still, and I could relate to the problems she had with meditation in the beginning. But, nevertheless, I did catch some insightful words that I will share with you. The last part, Balli (Love) was really nice, so much had happened since the start of the book and it was great to see how the main character had evolved and how different she was compared to to when she started the trip. The movie, in the other hand was a bit different and not how I expected. If I hadn’t read the book I am not sure how much I would understand from it. Certainly some of the deeper meanings would be lost, but it did capture the Italian food in the begging in an amazing way and only strengthened my appetite for Italian food. In addition Julia Roberts did very well playing the main character. ‘’ You are always digging in the past or poking at the future, but rarely do you rest in moment’’ – her thoughts and I couldn’t agree more. ‘’ Don’t touch anything but yourself in here’’ David from Texas while in India. ‘’If something is rubbing so hard against you, you can sure it’s working on you’’ – a monk in India..
‘’ What if it doesn’t work?’’ said her friend Deborah before she left for her big trip. ( A question that I myself ask too much in many situations). If you have read the book (as most of you) please share your thoughts about it with me in the comments, if you haven’t read the book yet or haven’t seen the movie, then I suggest you hurry and buy one of them from bellow. They both go hand in hand with a nice relaxing weekend/day at home. Enjoy!